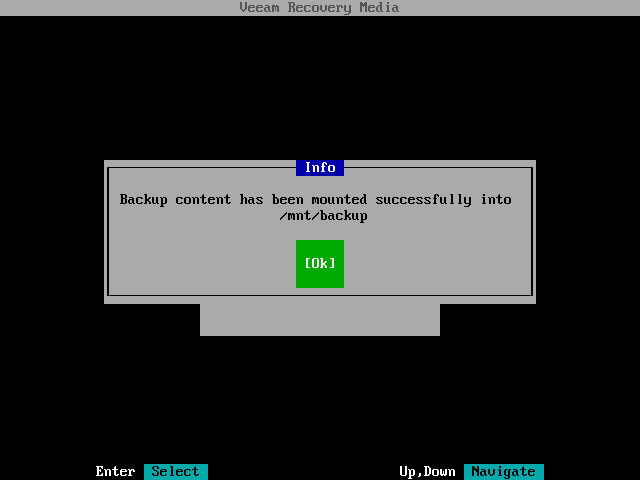 Veeam Agent for Linux will mount the content of the backup file to the /mnt/backup directory in the recovery image OS file system and display a notification window with the corresponding message. Press Enter to proceed to the File Level Restore wizard menu, open the file manager and save restored files. 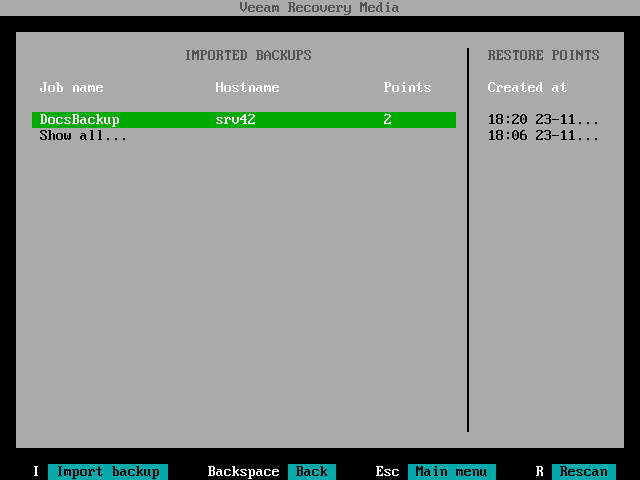 When you perform file-level restore with the File Level Restore wizard, Veeam Agent for Linux always mounts the backup to the /mnt/backup directory. 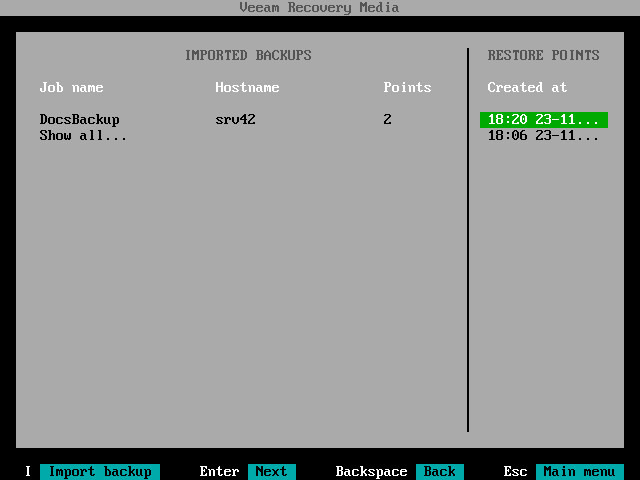 If you want to specify another directory for backup mount, you can perform file-level restore with the Veeam Agent for Linux command line interface. To learn more, see Restoring Files and Folders with Command Line Interface.